To educate local community in Bali from developing and dying of breast cancer. The money we receive helps us achieve this vision through awareness & Education Programmes and by supporting women with breast cancer. 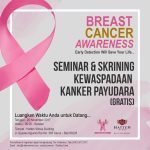 Create awareness of breast cancer through Mass Media programs, Information Seminars and Outreach Programs throughout Bali. Promote and develop programs at Pink Ribbon House which will inform, support and empower Balinese women and their families. Establish a ‘train the trainer’ program of breast cancer survivors to facilitate the confidence and awareness of those women who are frightened to visit the hospital and undergo treatment. 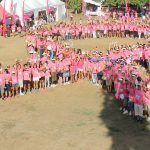 Extend Bali Pink Ribbon’s breast cancer services to remoter parts of Bali and the outer islands.